601 Lexington Avenue, widely known by its former title as the Citicorp Center, may be the subject of a revamp totaling 200,000 square feet, courtesy the New York office of global architecture firm Gensler. The recently landmarked building (designated in December) could see a new exterior plaza and array of terraces added if the design is approved by the Landmarks Preservation Committee (LPC) next week. 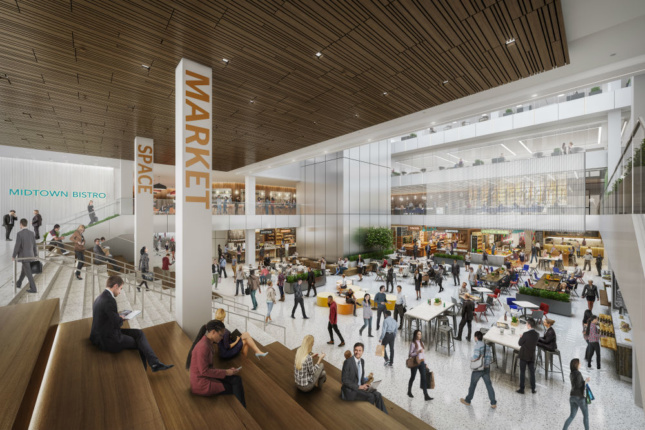 Further changes include an atrium located inside (and thus exempt from LPC endorsement) that will house a coterie of retail outlets and dining facilities. 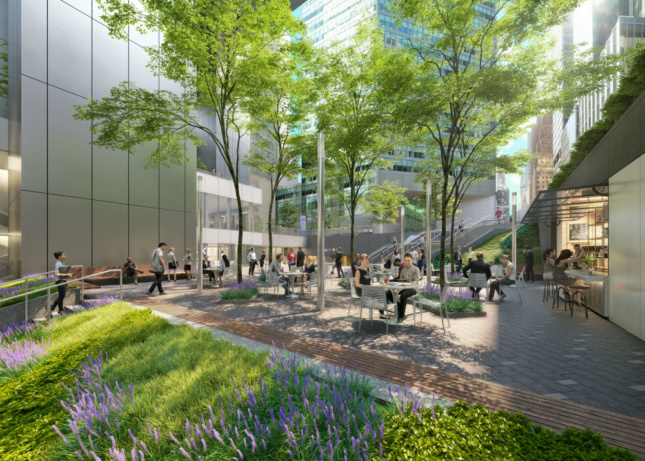 Speaking to The Architect’s Newspaper, a spokesperson for Gensler clarified that the plaza is indeed “being redesigned” as renderings suggest. 601 Lexington Avenue was designed by Hugh A. Stubbins & Associates in 1977 and completed the following year. The resultant angular apex created a silhouette that has become an icon of the Manhattan skyline and was a feature that led the building’s landmark designation last year. 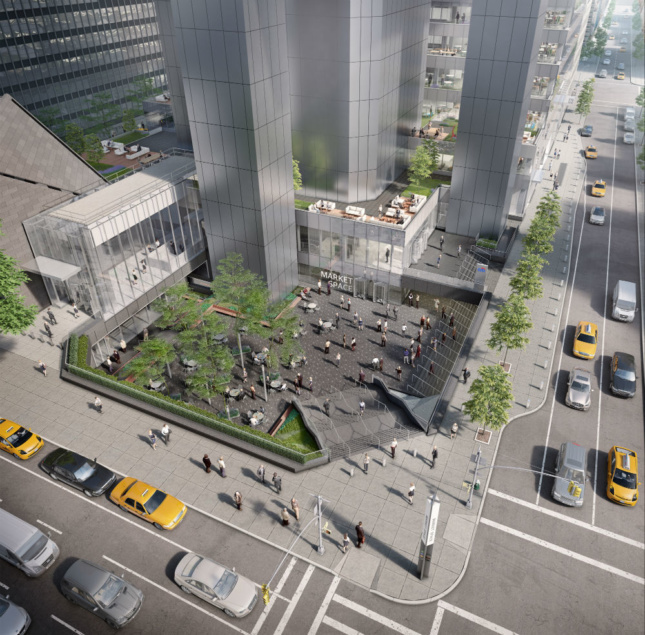 It’s at the other end of the building, at Lexington Avenue and 53rd Street, however, where the changes will be made. Critic Paul Goldberger was complimentary of the existing ground-level features at the time of Stubbins’s death in 2006: “[It is] probably the most important skyscraper built in New York in the 1970s because of its elegant and memorable shape, but also because of its engagement with the city at the base,” he said. Changes date back to as recently as 2010 when a new office lobby was installed. Twenty years ago, the existing atrium and open-air concourse were renovated. The LPC hearing for the changes will be on Tuesday, March 21.